DARK JOURNALIST X SERIES PART 15: ALICE IN CERN WONDERLAND MYSTERY SCHOOL! 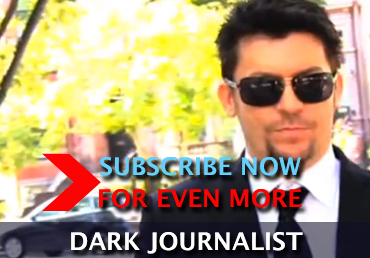 SPECIAL LIVESTREAM FRIDAY NIGHT JUNE 22nd AT 7:30 PM ET Dark Journalist Daniel Liszt continues the groundbreaking X-SERIES that follows the X Steganography through the history of Political and Covert groups coordinating in a Stealth fashion the Secret work of the Mystery Schools X Technology. ALICE MEETS CERN In this special episode Dark Journalist will trace the activity of the Orphic CIrcle Mystery School creating young clairvoyants and somnambulists to gather astral assets and state secrets. He will reveal that the famous story Alice in Wonderland by Lewis Carroll is in fact a chronicle inspired by the Orphic Circle's prized pupil and how the recent project named ALICE rolled out at CERN's Hadron Particle Collider in Geneva, Switzerland is connected with secret extra dimensional research pioneered by the Theosophical Society.